2014's Biggest Selling Film Was Lead By A Woman. Does That Mean Progress? 2014’s Biggest Selling Film Was Lead By A Woman. Does That Mean Progress? For the second year in a row, the biggest selling film featured a female lead character. 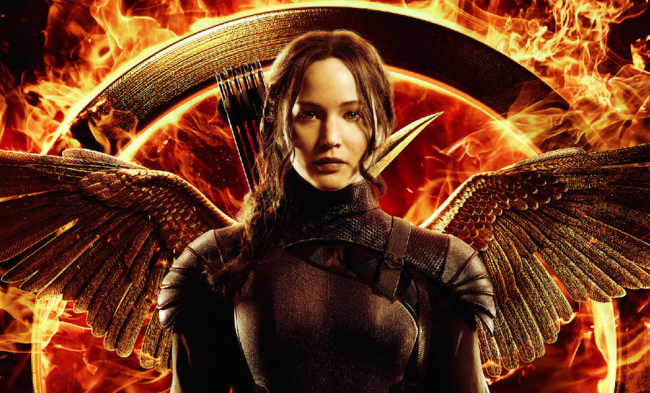 Once again it was part of ‘The Hunger Games‘ franchise, the third installment ‘Mockingjay’. The Jennifer Lawrence-led feature has once again overwhelmingly shown the world and industry critics and executives that women can sell (big time!) at the box office. Or have they? The film has so far earned over $333 million in just the United States. It has already grossed more than $700 million worldwide, bringing global box office for the three “Hunger Games” films to over $2.2 billion. Oh and NBD, but with that figure, the film also makes it way into the Guinness World Record books because Jennifer Lawrence is officially the “highest grossing action movie heroine” putting all her male counterparts to shame. ‘Mockingjay’ opens in China on Feb 8th, and because China is tipped to soon takeover the US as the world’s biggest box office, their numbers are important. Variety reports that “unlike most major tentpole releases, the latest “Hunger Games” didn’t get the benefit of a 3D or Imax surcharge” which makes the win that little bit more impressive. It also goes a long way to proving once again that female-led films are something that both male and female audiences want to see. But while this is big news, it doesn’t necessarily reflect what’s going on in the rest of the industry for women. 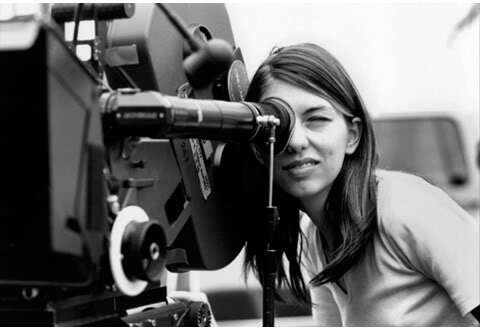 In an new study by the Center for the Study of Women in Television and Film at San Diego State University called The Celluloid Ceiling: Behind-The-Scenes Employment of Women on the Top 250 Films of 2014, women are still mostly a minority. They found that women occupied only 17% of leadership roles in the industry — the same percentage as they did in 1998, the first year this study was conducted. The positions looked at included directors, cinematographers, executive producers, producers, editors and writers. It notes that women were best represented as producers (23%), followed by executive producers (19%), editors (18%), writers (11%), directors (7%) and cinematographers (5%). Film industry blog Women and Hollywood adds to this data saying only 37 (or 15%) of 2014’s top grossing films featured female protagonists. They also state that women make up the majority of moviegoers, based on data from the Motion Picture Association of America, and that on average, films with a female protagonist earned 20% more than those with a male protagonist. The films they are talking about don’t include ensemble casts that may feature a lot of women, they mean movies with a solitary female protagonist. So why is there such a disconnect between the obvious statements (that moviegoers make with their wallets) about what films audiences want to see, and what studios are reluctant to produce? Another study by the Ralph J. Bunche Center for African American Studies at UCLA called 2014 Hollywood Diversity Report: Making Sense of the Disconnect, a first of it’s kind, examined the top 172 theatrical films released in 2011 (ranked by box office) and 1,061 television shows airing during the 2011-12 season on six broadcast networks and 62 cable networks. The found that broadcast TV shows with casts featuring 41 to 50 percent nonwhite characters attracted the highest household ratings. For films, those with 21 to 30 percent nonwhite diversity earned the most revenue. How can you argue with numbers like that? And why is there still such a huge lack of female representation behind the scenes? Because we sure as hell know it’s not as if women are unwilling and not ready to go. At the end of the day the last decision lies withing the studio system, and their hiring decisions. In an interview with the LA Times, outspoken feminist and advocate for women in film Keira Knightley shared her thoughts on the problems that still exist in the system. First, there aren’t enough roles written for women to play that exist outside the one-dimensional stereotypes. Second, it comes down to more female writers and producers creating these roles. There is definitely a slow change happening in the industry as a whole, as more studies are done, more avenues are being created through a variety of entertainment platforms, and of course more visible representations. Just think of all the young black female directors who have just that little bit more confidence to go after their dreams because of Ava DuVernay. And even Angelina Jolie being nominated at the Golden Globes for Best Director for her film ‘Unbroken’ is a powerful symbol of the many things women in film are able to achieve, and that they should not be pigeon-holed. After all we don’t blink an eyelid when we see Jon Favreau acting in movies and then directing ‘Iron Man’ in the next breath! Oscar-nominated director Lexi Alexander said in 2014 that many female directors are being passed over for jobs in the industry (including her) not because of a lack of talent, but because of a huge lack of people willing to give female directors opportunities. Others say the industry is failing women, yet the numbers are not. Here’s hoping these numbers will continue to grow, and that executives of all levels will wake up to the fact that making great entertainment is not a gender issue, it is about making money, and that’s what women do best in Hollywood it seems!